Larry is a 3rd generation farmer. After receiving his degree in Agriculture Business at Cal Poly San Luis Obispo he moved north to find fertile farming ground. He settled in Swan Lake Valley on the Edgewood Ranch in 1972 with his cousin Ken Jespersen. They founded Jespersen-Edgewood Inc, and with the help of their fathers, Larry and Ken began clearing sage brush and drilling irrigation wells. Under their stewardship, Edgewood Ranch quickly became a productive hay and potato farm. Larry has a wonderful wife, Maureen, four children and six grandchildren. He enjoys running marathons all over the world and has completed a marathon on all 7 continents. Lauren, Larry’s son, is a 4th generation farmer and grew-up on Edgewood Ranch. After graduating from Stanford University with his degree in Civil Engineering he worked as a design engineer for a year before he went back to get his Masters of Business Administration from Oregon State University. Lauren came back to work on the farm full time in 2011. Lauren married his beautiful wife, Molly in 2012 and is the proud father of two dogs Lucy and Modoc. Kenny, Larry’s son-in-law, went to high school in Klamath Falls where he met Larry’s daughter, Bethany. After attending Southern Oregon University, Kenny and Bethany were married in 2005 and Kenny became a partner later that year. Kenny enjoys coaching wrestling at Bonanza High School, and is the proud father of two wonderful children, Jovi and Ford. 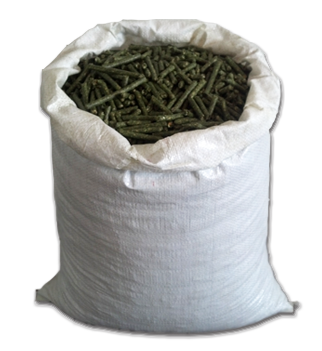 Edgewood Ranch produces quality hay and pellet products. Current hay production includes; Alfalfa, Orchard Grass, and Timothy Grass. Each of these products are available in big (1,200 lbs.) and small (100 lbs.) bales.Current pellet and meal production includes; Alfalfa, Alfalfa/Timothy, Alfalfa/Orchard/Timothy, Orchard Grass, Timothy/Orchard. Each of these products are available in bulk (25-35 Ton Truck Loads) and in bags by the pallet (50 lb. gabs, 40 bags per pallet).